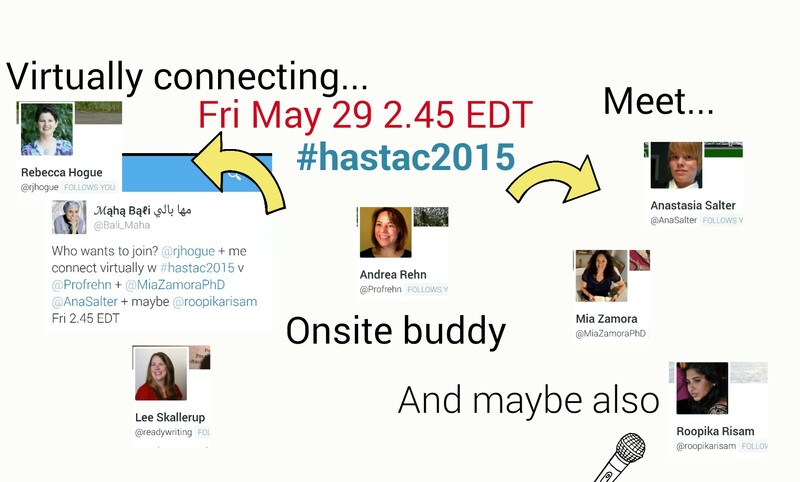 Friday May 29 at 2.45pm EDT we are connecting to #hastac2015 via Andrea Rehn (@profrehn) as our onsite buddy. We will be joined onsite by Mia Zamora, Ana Salter and possibly Roopika Risam. 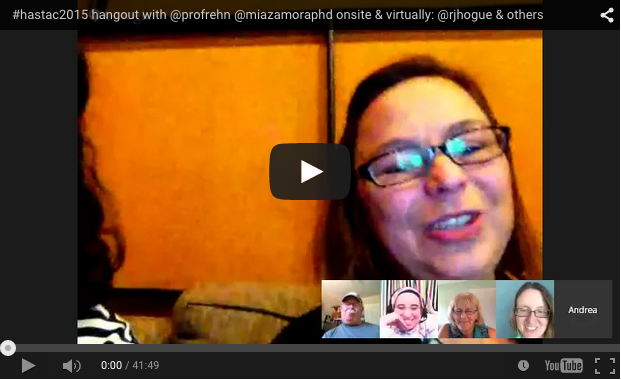 Virtually we have hosts Rebecca J. Hogue (@rjhogue) and Maha Bali (@bali_maha) and guest Lee Skallerup Bessette. 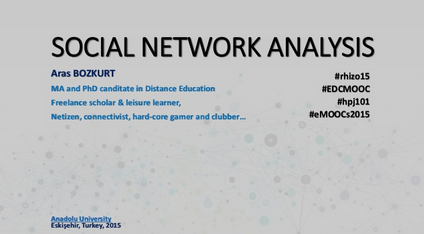 Other virtual attendees welcome to join. Just to tweet one of us. This is a genius idea that makes technology work for people. The qualities of virtual participation have become, in my mind, over-mediated and theatricized into the digital fashion world of TED talks with smoothness and delivery over content. There’s something in communication design that speaks about the validity of the person being lost to too much editing or rehearsal. And what about professional development being the property of the person instead of just another directive from above? PD has become the business of others to determine. In a time of change do we expect people to stand around waiting for orders and role definitions made up by people with an institutional set of criteria that see a person’s qualities as owned and operated by a management strategy? We can see how this reduces things to following orders, not creating anything of interest.